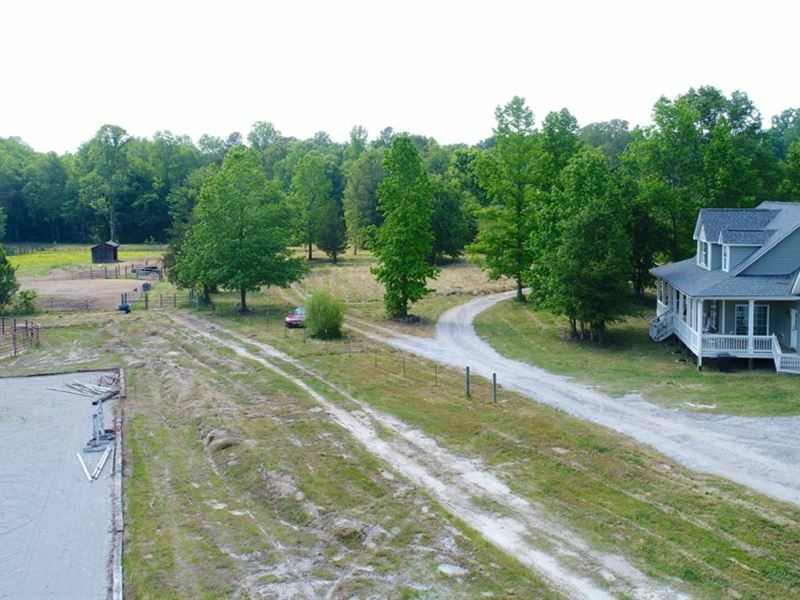 15.14 acre farm on Little Brushy Creek in Powdersville, SC. The 2700 sqft home features: 4 bedrooms, 2 full baths, 1 half bath, stainless steel appliances, granite countertops, fireplace, master on main, and 9' ceilings downstairs. Unlimited storage with walk-in closets in every bedroom. Riding pen and competition dressage area are perfect for serious equestrians. Only 11 miles to Greenville and just minutes from I-85.